Recycled crafts ideas for children don't get much cooler than learning how to build a robot using junk. It requires really innovative mindset to get a success in making a robot. The Inspiration from trash robot could help in reducing the environmental impact of toxic and hazardous materials which otherwise we just dump on the road or any other place. In both Uruguay and Mexico, children are making “recycled orchestras” using musical instruments made out of trash. 17 years old Bolivian Esteban Quispe is a self-taught electronic student. He is very talented and humble young boy. 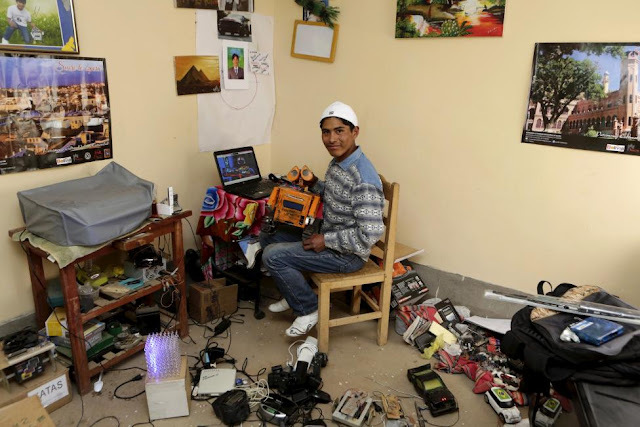 He has built many electronic devices from electronic and plastic garbage, because of he comes from a small village in Bolivia, called Patacamaya. 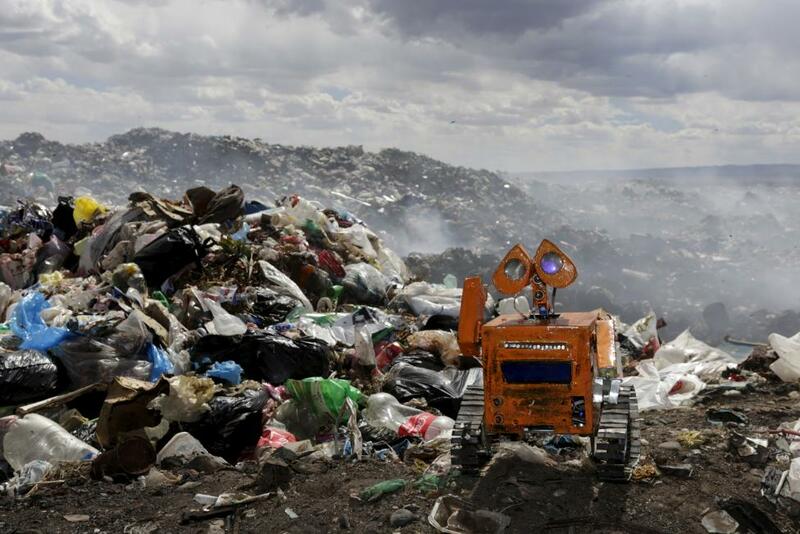 His last invention is a cell-phone controlled robot, called “Wall E-kit” made out of garbage he found in a local landfill. It was inspired by Wall- E from the Disney movie. 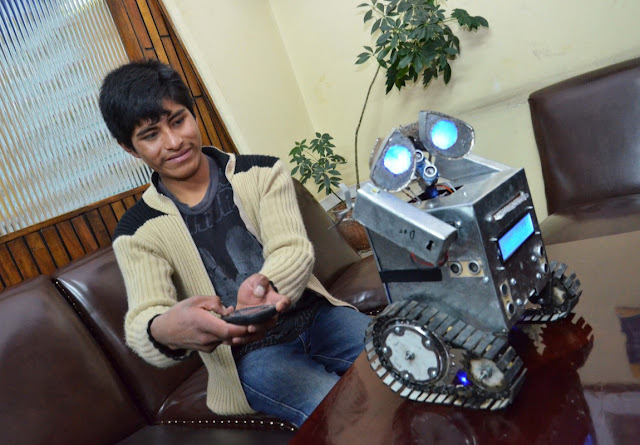 His robot is able to move and avoid obstacles, and it is controlled by his own mobile app. His version of Wall-E is a small robot that has several internal connections which can make the device move forward and backward and rotate its hands and head. He also made a magic cube, using 512 led lights, which forms different letters and numbers. Also he is interested in Artificial Intelligence. 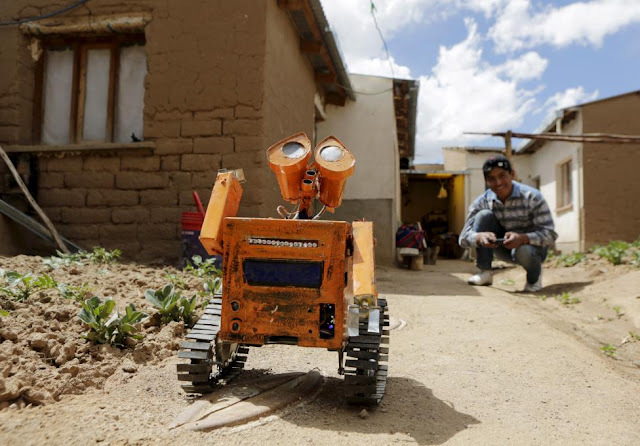 He is also socially engaged so he would like to design and build a robot to help his community in farmer activities, due to the fact that people is leaving his land and he cares about the food production in the later years. 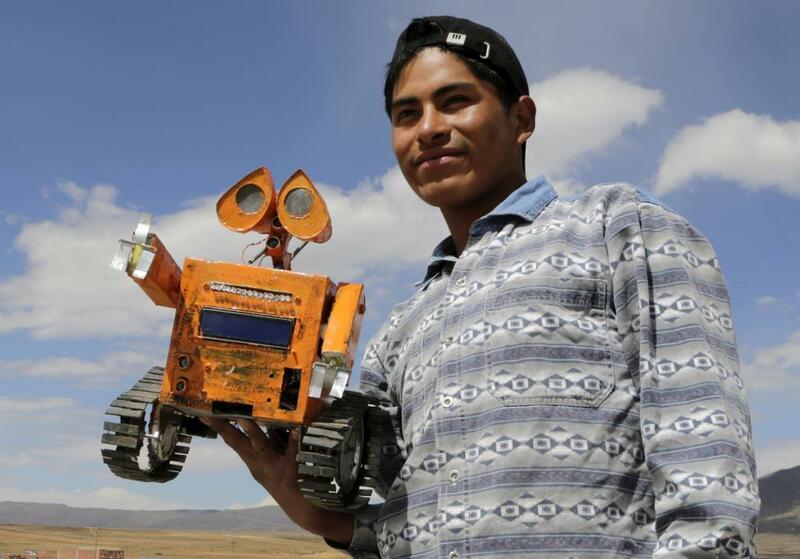 He hopes to mechanise agriculture in Patacamaya by making use of robots that operate using solar energy. The teenager has been referred to as a "genius of Patacamaya" by fans, with the video of how he built the robot being seen 5.7 million times, and being shared more than 170,000 times.